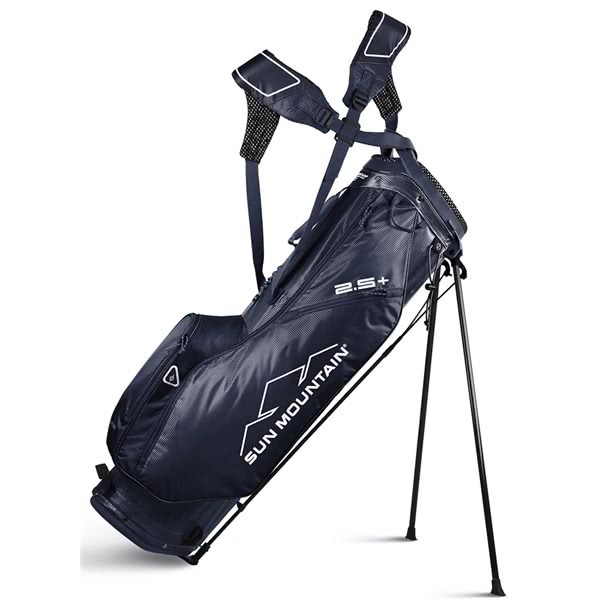 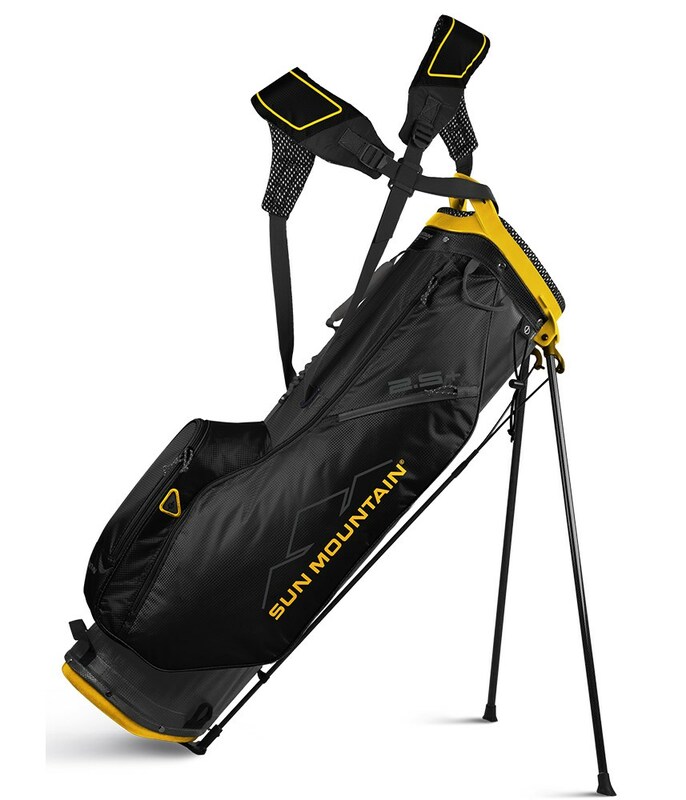 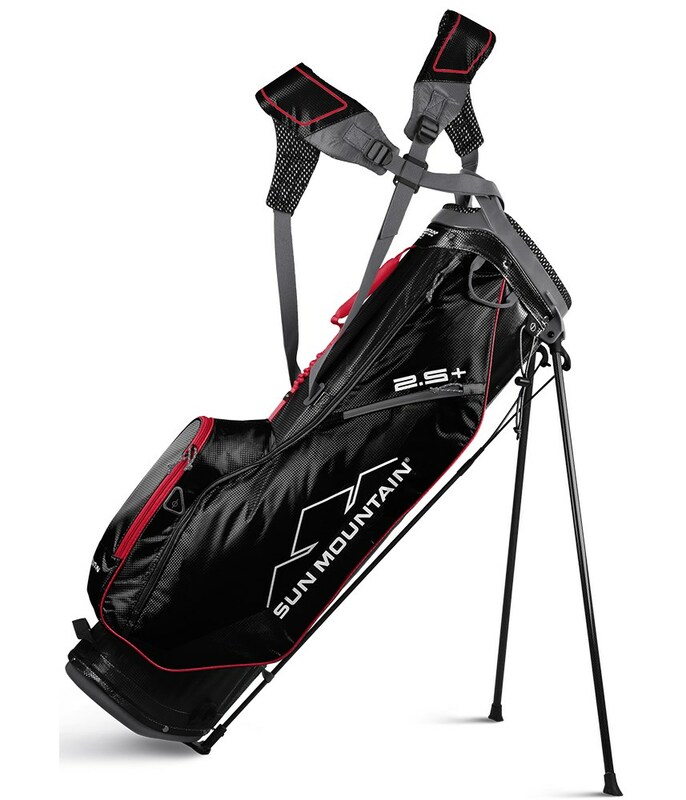 Sun Mountain have created the Two5 Plus Stand Bag as the ultimate carriers golf bag, with its ultra-lightweight construction and fully functional design. The ultra-lightweight design has been achieved by using a durable nylon, a lightweight plastic top and bottom as well as a carbon fibre leg design. In terms of functionality, the Two5 Plus Stand Bag features a 4-way, full length divider system that easily holds a full set of clubs and prevents club crowding at the base of the bag. The Two5 has been fitted with their excellent X-Strap Dual Strap System and features their high density foam straps to provide incredible comfort and balance. 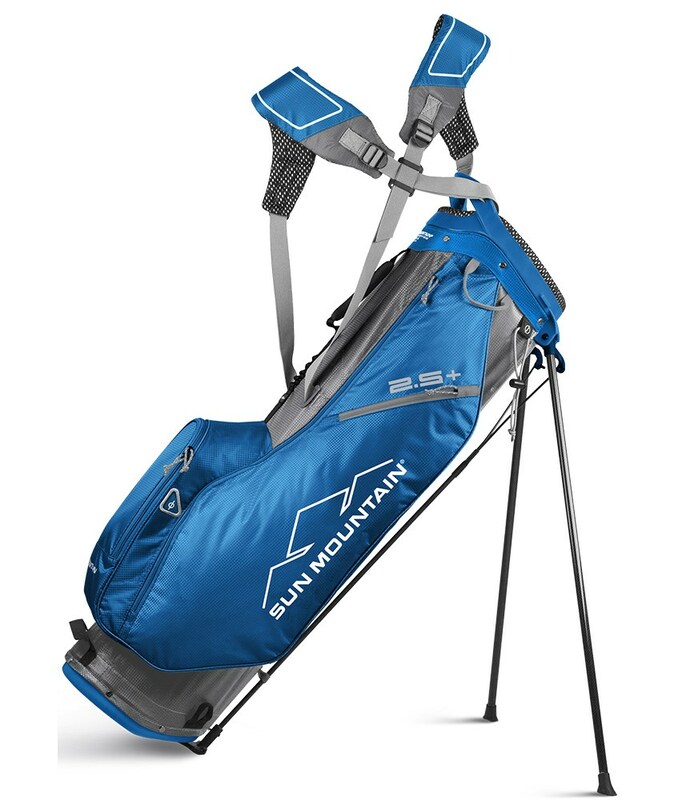 Sun Mountain have used a five pocket layout that includes a full length apparel pocket, a lined valuables pocket, a beverage pouch and a ball pocket, all of which are easily accessible when on the move.